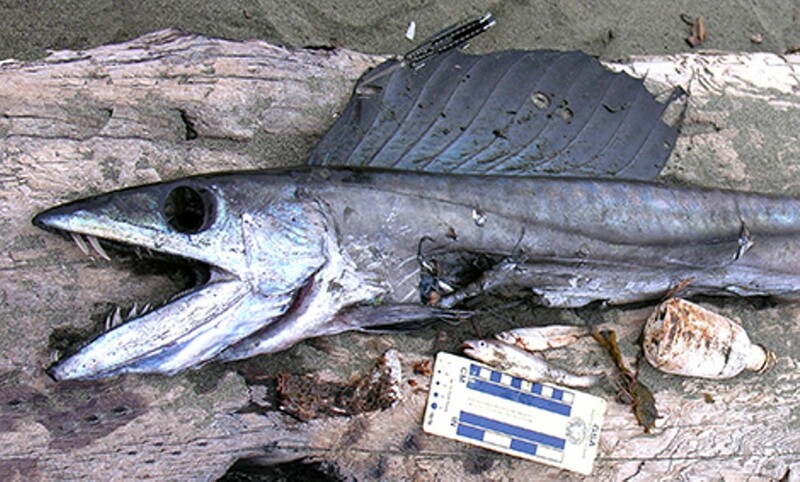 Photo by Mike Kelly A worse for wear longnose lancetfish. 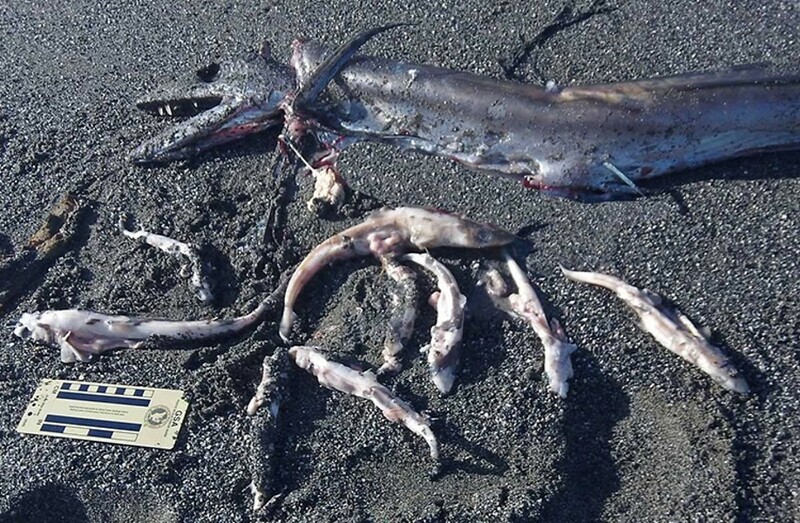 Photo by Mike Kelly A lancetfish and its bellyful of spiny dogfish sharks at Stone Lagoon. 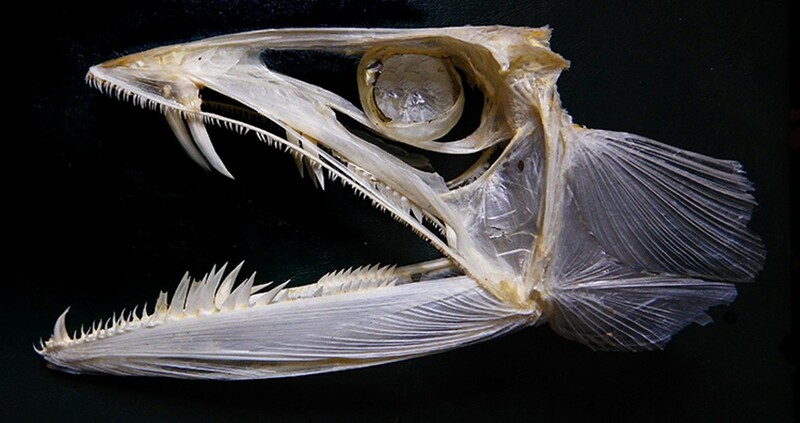 Photo by Mike Kelly A lovely lancetfish skull, cleaned and preserved.